A marvel of modern engineering, Hoover Dam was built during the Great Depression partly as a way to put unemployed men back to work. More than 100 of those men died during the construction of the 726-foot-high dam. 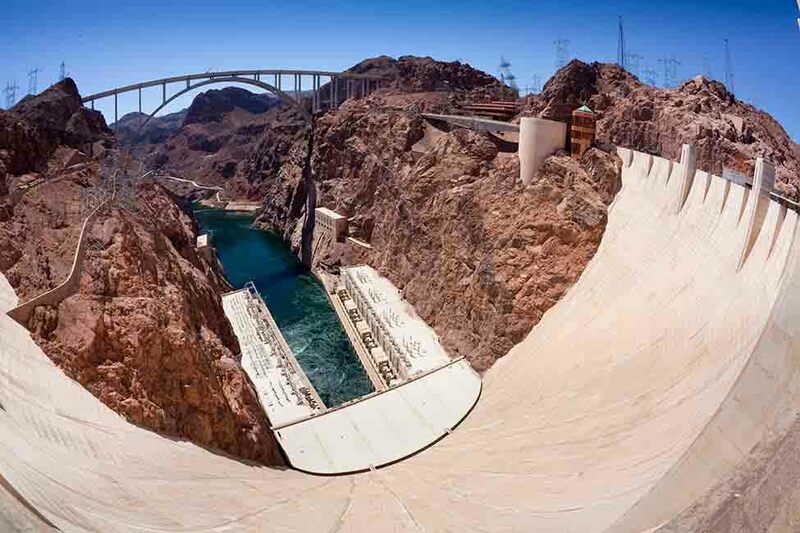 A 45-minute drive from the center of Las Vegas, the dam contains Lake Mead, the largest reservoir in the United States. Today, the dam provides hydroelectric power to much of Nevada, Arizona, and California. More than one million people visit every year.